It's always fascinating to see the collaboration work between two very different artists. Graffiti artist Antonio "Chico" Garcia and photographer Jonathon White have been collaborating since the 1990's by combining White's prints with Chico's unique character creations. Chico is a graffiti artist from New York City's lower east side whose work can be seen all over the city. His style includes the use of vivid colors and a variety of characters that show off his talent. White moved to Rochester in 1997 and has since had work showcased in Western New York, Long Island, and New York City. His ongoing project, "The Colors of the Urban Landscape" brings together his love for both the city and color. 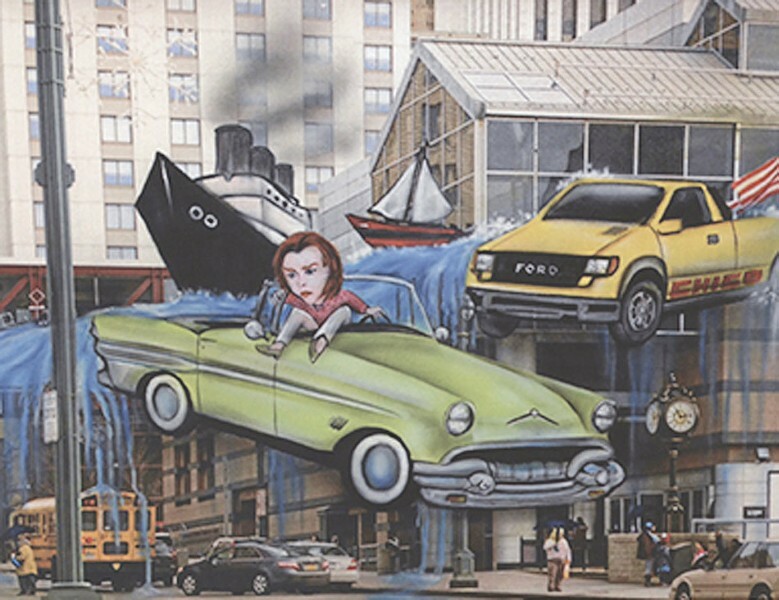 "Rochester (and Other) Landmarks" will feature White's photographs of Rochester (and some of NYC) with Chico's incredible ability to make walls come alive, including murals of important people from Rochester's history such as Susan B. Anthony and George Eastman. The exhibition opening takes place on Sunday, May 11, 1 p.m. to 4 p.m. The exhibit runs through Saturday, August 30, and can be visited during normal business hours (Friday and Saturday, 11 a.m. to 6 p.m. and Sunday, 12 p.m. to 5 p.m.). Admission is $12 for adults, $8 for students and seniors, and free for members. For more information, call 288-7170 or visit Artisanworks.net; Jwgalleries.com; Chicoartnyc.com.